In CellSmart POS, you are able to increase your customer loyalty by using a point system. The Point system allows you to give points to your clients for every purchase they make and use those points to purchase something else from your store in the future. This encourages customers to come to your store more often to purchase items and gain points, in the long run increasing customer loyalty. Then, Click on the Point System icon. Click on the Red Plus icon to create a new points template. 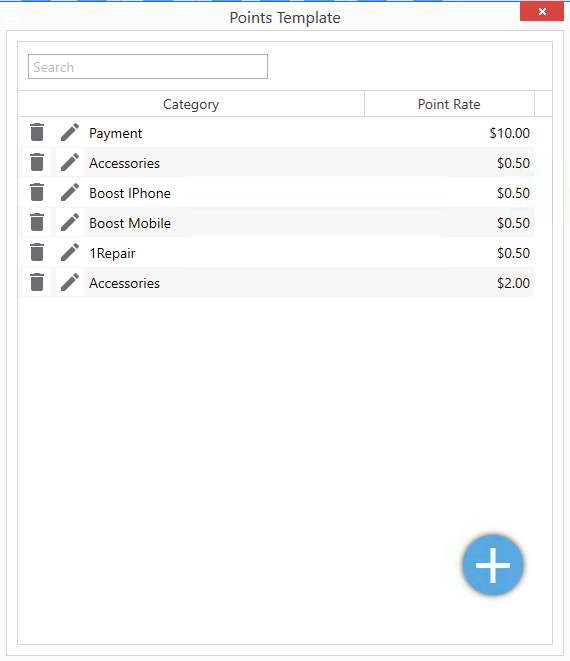 Customers can use their points at any time to purchase items from your store. To use any customer's points you can select the payment method as points while checking out a customer and enter their name in order to use any customer's points.